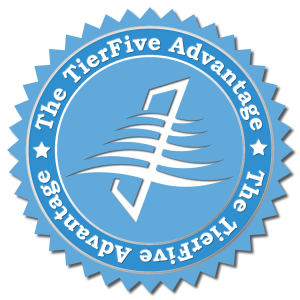 Managed Cloud Hosted Exchange Email | TierFive, Inc.
TierFive's Managed Exchange Email gives you fast, reliable and spam-free email on your desktop, laptop and mobile devices without the hassle and overhead of owning and managing your own mail servers. Managed Exchange Email. You run your business. We’ll handle your email. TierFive blocks 99 percent of spam and viruses, keeping your inbox clean and your network safe. We gave easy, effective and affordable email security from TierFive, a company trusted to protect mailboxes worldwide. Avoid compliance issues and send confidential data with confidence. With Email Encryption from TierFive, you’ll avoid prying eyes along the way. Only the authorized recipient – with the proper password – can read the message. Getting email on the go is essential for keeping modern business moving. Laptops, tablets, smart phones and cell phones — choose TierFive and your mobile devices will work better and work together to keep you connected. TierFive’s Managed Exchange Email is the easy, effective and affordable option for businesses that need reliable email service, but don’t want to pay for expensive equipment and a full-time IT staff. For a low monthly, per-mailbox fee, TierFive gives you unlimited storage and the ability to easily add and remove users or services. With our award-winning spam-filtering embedded, you also have the best security in the business built right in.